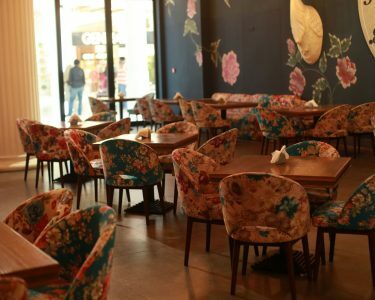 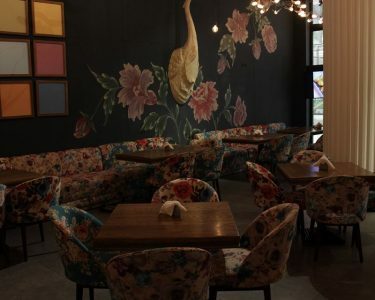 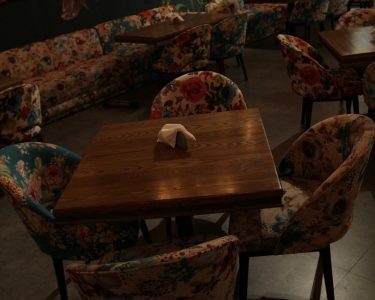 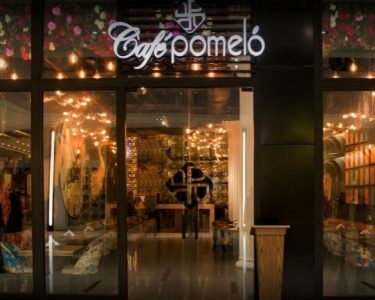 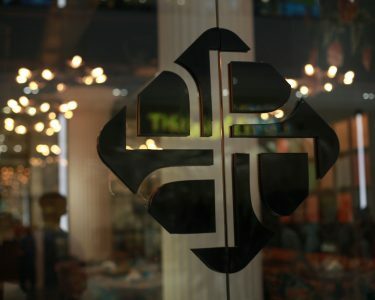 Café Pomelo, located at Packages Mall, Lahore is a fine example of Retro Style Architecture. 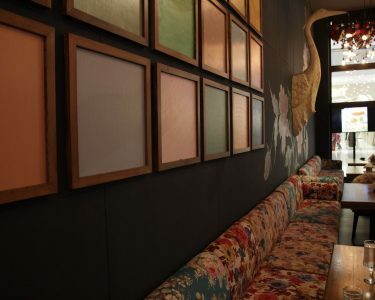 The project portrays a blend of contemporary materials and modern day fashions displaying characteristics of the near past. 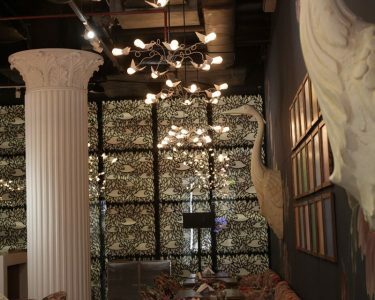 The infusion of traditional elements like sculptures, floral patterns and feature wall exhibiting glass panels makes it a contemporary architectural piece merged with vintage style. 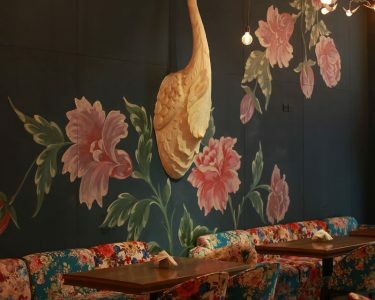 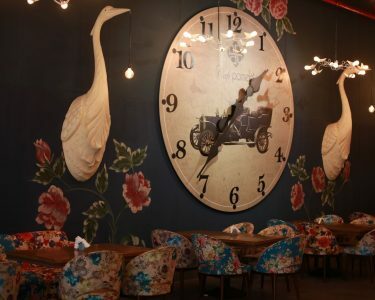 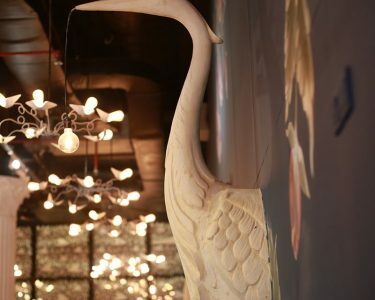 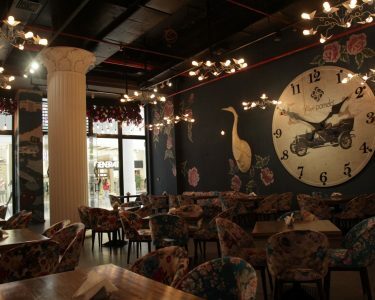 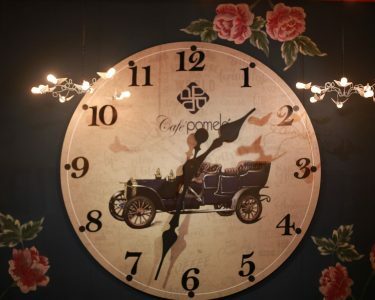 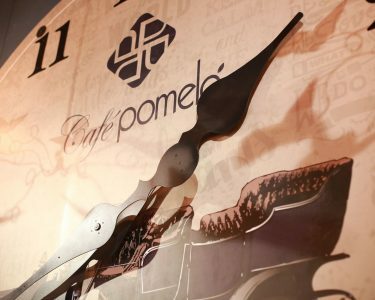 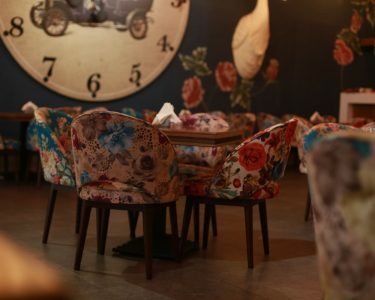 The most eye catching features of the project include colossal flamingo sculptures acting as the heart of the project as well as the gigantic wall clock adding to the exuberance of vintage style associated with the place. 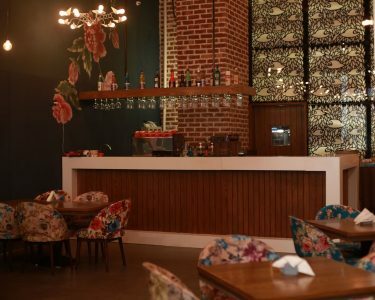 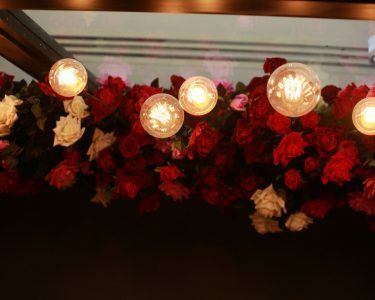 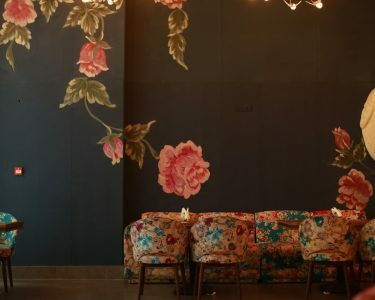 The floral ornamentation running through walls and furniture dripped with calmative lighting add up to aesthetics of the place. 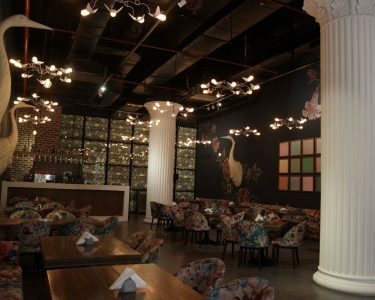 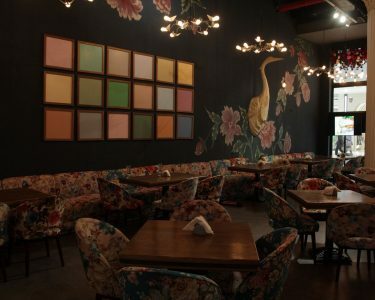 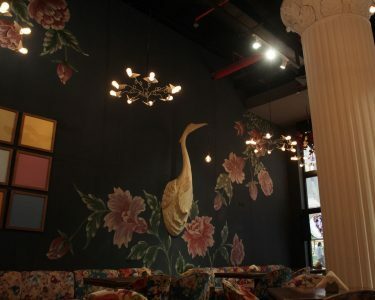 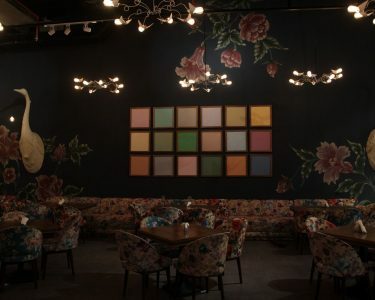 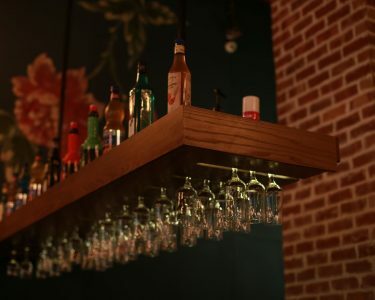 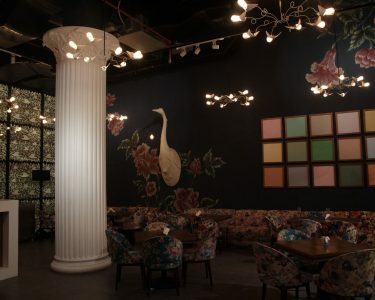 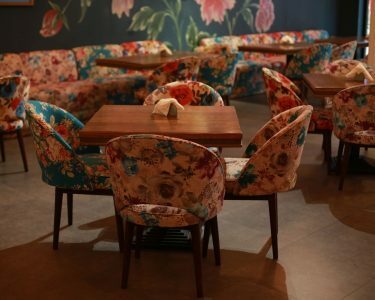 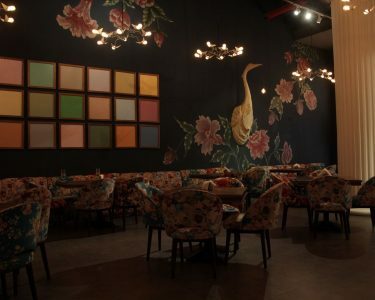 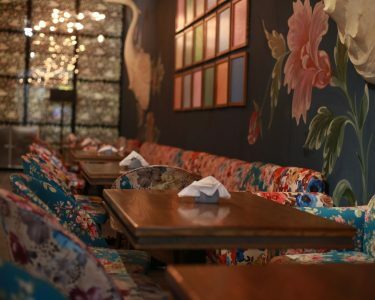 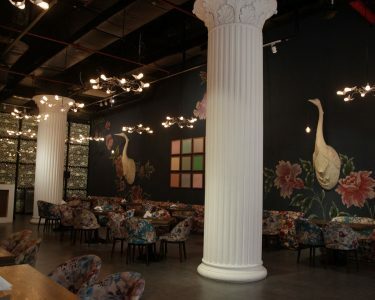 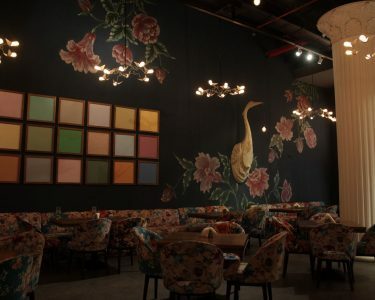 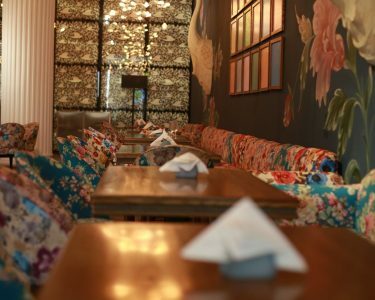 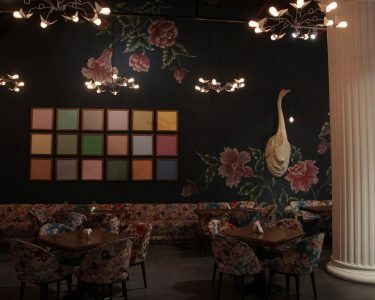 The interior is infused with warm and cozy ambience with a stir of bright colors drawing a balanced equilibrium.